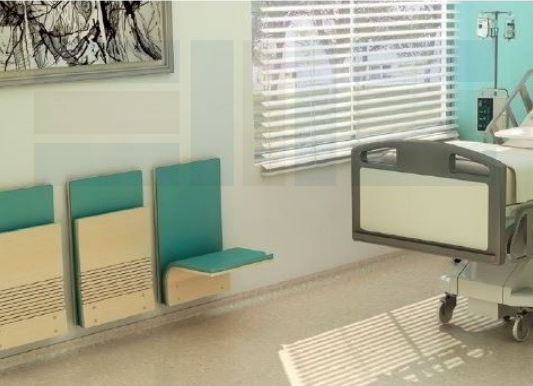 In lecture halls, patient rooms, waiting areas, or anywhere space is limited, finding seating that is flexible and durable, but also compact is difficult. But it doesn’t have to be. With wall-mounted folding seats, you can offer comfortable seating that supports up to 600 pounds. Crafted around the elements of cantilevered bridges and the human spine, the seats are designed with thick compression elements but with thinner, flexible tension components. And when not in use, the innovative folding mechanism enables the seats to nearly disappear. 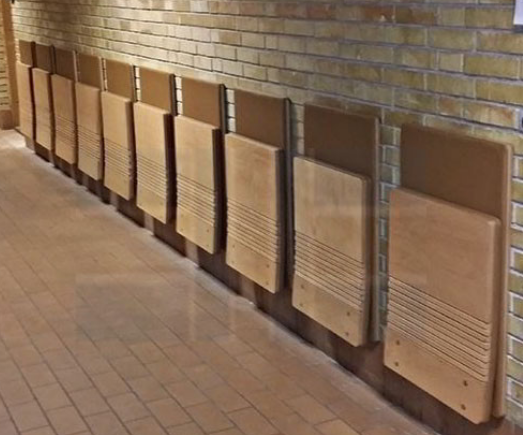 StoreMoreStore offers these innovative wall-mounted folding seats online for a great price. And we are here to answer any of your questions. Just give us a call at 1-855-786-7667.